Knowing about an author can assist in understanding his work. 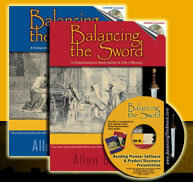 Here is a link to Allen Wolfe's speaker profile in the BTS database of homeschool speakers which includes photographs and more personal information. 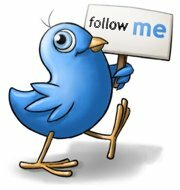 You may also join Allen on FaceBook and Twitter and LinkedIn. Audio: The Foundation of All Learning (Real Media / Windows Media)- Allen B Wolfe set forth the necessity of having God as the foundation of all that can be learned. This presentation was given at the FPEA convention in Kissimmee, Florida on 05/26/2006. "Now therefore fear the LORD, and serve him in sincerity and in truth: and put away the gods which your fathers served on the other side of the flood, and in Egypt; and serve ye the LORD. And if it seem evil unto you to serve the LORD, choose you this day whom ye will serve; whether the gods which your fathers served that were on the other side of the flood, or the gods of the Amorites, in whose land ye dwell: but as for me and my house, we will serve the LORD" (Jos. 24:14-15). Audio 1: "As for Me"
Audio 2: "As for Me and My House"
The Spark - How did Balancing the Sword begin? A Word about the Word - What should we believe about the Scriptures? His Theology - What are the foundational truths held by the author? BTS's Development - How did the BTS program develop over time?